Tuesday - Wine Down with half off all bottles of wine and buy 1 glass of wine get the 2nd glass for .10. 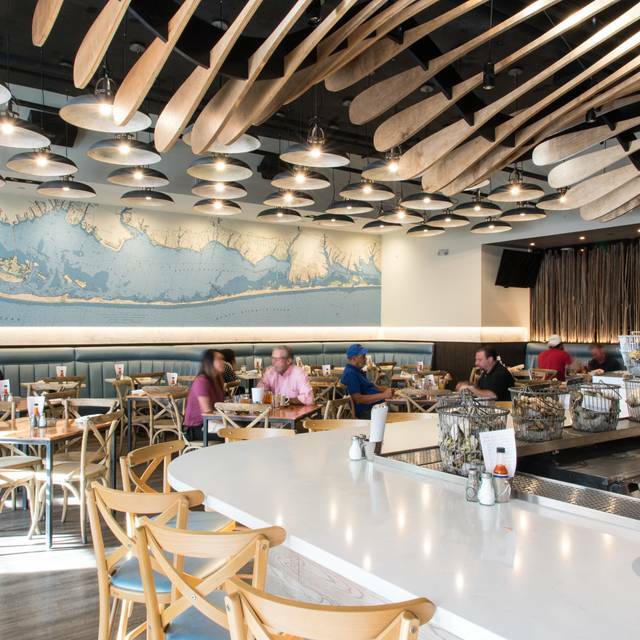 Blue Island Oyster Bar’s menu, decor, culture and overall experience is inspired from the owners’ childhood memories of growing up in small coastal towns. 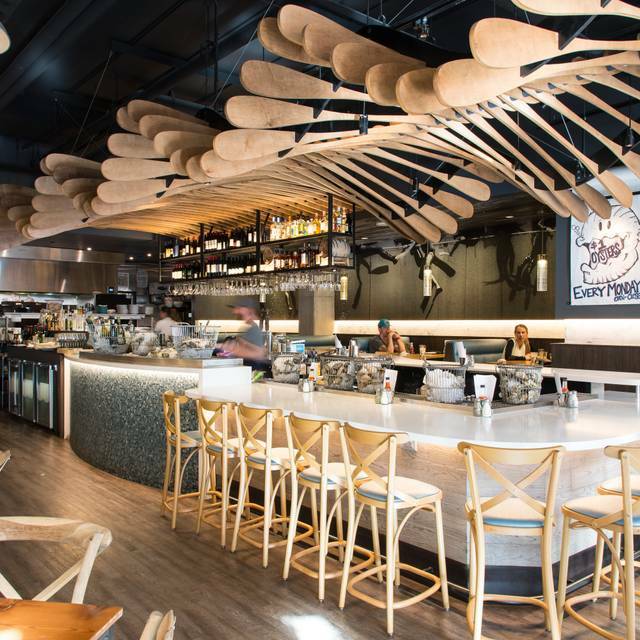 Combine this with superb hospitality, creative libations, and a passion for delicious food makes it Cherry Creek's freshest seafood restaurant. To ensure this commitment to quality and freshness, Blue Island Oyster Bar has partnered with Chris Quartuccio of Blue Island Shellfish Farms in Long Island, NY to bring you a daily shipment of seasonal oysters and seafood favorites such as Steamed Mussels, Lobster Rolls, Clam Chowder, and fish like halibut, Icelandic cod, and salmon, to name a few. Our approach is simple: create honest food and drinks and serve it in a casual environment. In short, we are inspired by the oyster farmers and fisherman from coast to coast, who strive to bring you great seafood at an approachable price. Enjoyed the food and the ambiance. The food was delicious. The staff was attentive. We enjoyed our dinner. The food was tasty, the service was good altho the poor waiter was so busy there wasn't much time for personal service - but he did try. Tables were crushed together as close as possible so it was very noisy and crowded, definately not a pleasant ambiance. The menu was quite limited. For the high price I expect a much nicer ambiance so I probably won't be back. Excellent fresh seafood and raw bar. Cooked items are searched without a lot of goopy sauce! Another great meal at Blue Island Oyster & Seafood. Look forward to my next visit! Very good food and service. A bit loud so it's a better fit if you want to go there for a casual dinner. Great food, excellent service. We will come again for sure. Tried a variety of oysters and they were all fantastic. Service from Shane was excellent and the food was outstanding. 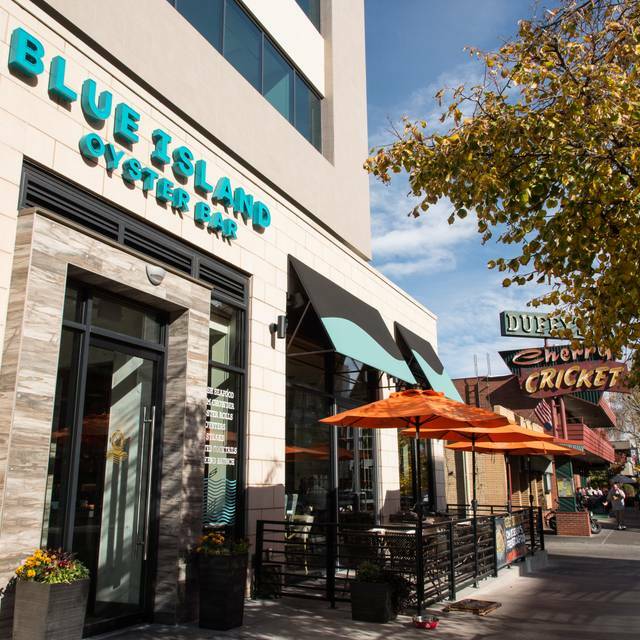 Recommended seafood restaurant in Denver's Cherry Creek area. Food and service were very good. Rather noisy a bit loud, but tables along the sides may be better. First time to the Blue Island based on recommendation from a friend. We made a reservation for a Friday night which as a good thing. Place was full. 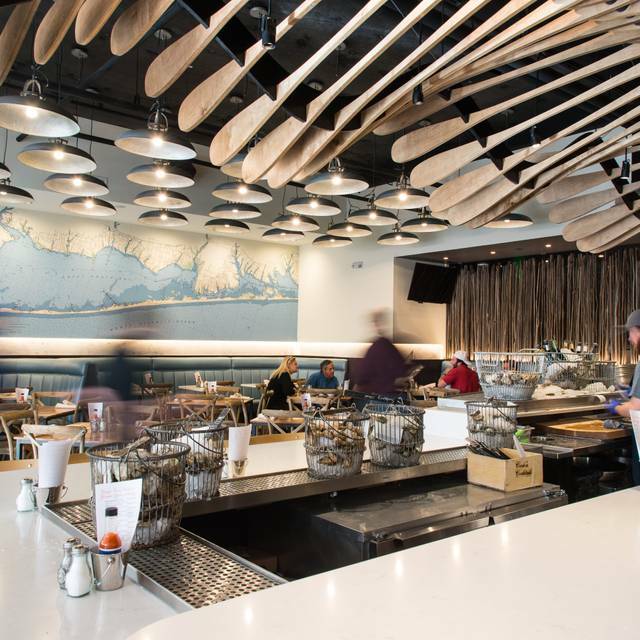 Go for the oysters but also try the varied other seafood options. Loved the clam pasta dish. My spouse ordered th scallop and gnocchis dish which was ok. The scallops were perfect but the remainder was subpar. Next time she would order the simple “plain” scallops offering. Will go back and try a few different items... after the oysters! Great night out with excellent service and wonderful food! Blue Island has a great happy hour! We go there often for their HH menu-50% off wines by the glass, $1 oysters, and an extensive small bites menu! Our favorites are the knuckle sandwich, crispy brussel sprouts and togarashi fries! We always enjoy the fresh selection of oysters. Some of the items on the menu seem a bit pricey. We had a fabulous time and a fabulous meal for my husband’s birthday. Darwin is the best, he always is a wonderful server and seems to care about his customers! Thanks Darwin. Great happy hour. Wonderful daily specials. Nice place to dine with friends. We're regulars for Happy Hour, nice service and enjoy their seafood. Excellent seafood and trendy bar, great casual spot, very lively scene. Excellent waitstaff, hostess and barkeep, and the fresh seafood is ...fabulous!! Really just average. They ran out of crab legs during happy hour 430p. Always a pleasure dining at BIO. The fried clams are the best and the only place they can be bought. I did have a problem with the menus. Too large and heavy. I would suggest going back to original menus and pricing. First timers and had great reviews, but Halibut and Ono were not tender and tastless (overcooked? poor quality fish?). Mashed potatoes side was cold, when sent back came back luke warm at best. Great evening at Blue Island Oyster Bar & Seafood celebrating a birthday. This was my first visit and I was definitely pleased. Shane, our waiter, was fun, yet professional, and provided great suggestions when asked. I will definitely go back, and soon! This review was hard for me to write because I have been to blue oyster multiple times in the past. The food is always delicious (especially the lobster Mac and cheese) and usually the service matches. This night we consistently had trouble even getting our waitress to come and check on our table even as people were joining. Our drinks came out after our appetizers and we had ordered them before we ordered the appetizers. The food was good, the ambiance was good, and usually this isn’t an issue and we will likely be back again. Great food! Good service. Was nice to find a new place in Cherry Creek. Shrimp were advertised as jumbo but were medium and dry at best-undersized fish portion served first, later replaced by full sized portion, but both were dry and tasteless. Oysters may be good. Did not try them. Fish has been frozen too long. Dry and over cooked. Manager tried to placate me me with a free well cocktail on next visit. Should have comped my dinner. There will be no more visits. We go here often and it's always good. Both the food and service are great. What a fun way to have lunch! They have a lot of small plates, either to have for yourself or to share. We enjoyed many different items, from calamari to tuna tartare to curried cauliflower. Everything tasted great, and the service was excellent. I had been there several times for dinner, but now I think it is my favorite place for lunch as well. Really noisy but the food was excellent as was the service. It was a very fair deal for restaurant week and renewed our interest in a restaurant we hadn't been to for some time. We had such a lovely time. It was my first time eating Oysters, our waiter was so patient with me, gave me some great recommendations. We loved it! We will definitely be going back. The service was good, and our waiter was very friendly, but the food was very poor. The drinks and appetizers started off well. However, the steak we ordered tasted like the charcole on the grill and the desserts had very little flavor. We spent close to $120 for dinner for 2 and were very unsatisfied. I was reluctant to leave a bad review because our service was good, but felt the need to mention the poor tasting food. Went for restaurant week but limited choices so ordered from main menu. Very noisy at 6 pm. Expected more of a choice in fish on restaurant week special menu. Had steak as a choice on the special menu, seems another fish item would have been more appropriate for fish restaurant. Chowder was very good, oysters on the small side. Had Swordfish, good small for cost and also pasta with clam sauce. Very good but skip the chili flakes, makes it hot and it is not meant to be a spicy dish. Wait staff Darwin was very attentive and helpful . On the pricey side for what we had and size of portion.